The 2011–12 Ligue 1 season was the 74th since its establishment. Lille were the defending champions. 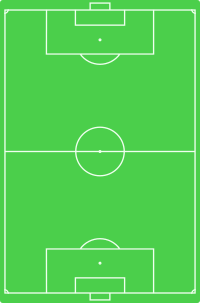 The league schedule was announced on 31 March 2011 and the fixtures were determined on 10 June. The season began on 6 August 2011 and ended on 20 May 2012. The winter break was in effect from 22 December 2011 to 14 January 2012. On 20 May 2012, the final day of the league season, Montpellier clinched its first-ever league title after defeating Auxerre 2–1 at the Stade de l'Abbé-Deschamps. 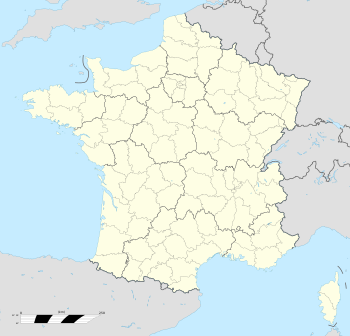 Montpellier was the fifth different club to win Ligue 1 since the 2006–07 season and qualified for the UEFA Champions League for the first time in its history. Paris Saint-Germain and Lille were the country's other Champions League participants, while Lyon, Bordeaux, and Marseille represented France in the UEFA Europa League. Lyon did not participate in UEFA's top football club competition for the first time in 12 years. Auxerre, Dijon, and Caen were relegated to Ligue 2. Auxerre returned to the second division after 32 consecutive years playing in Ligue 1. Prior to the 2011–12 season, the club had never suffered relegation from the country's top division. Dijon returned to the second division after only one season in Ligue 1, while Caen fell to the second tier after two years in the first division. There were three promoted teams from Ligue 2, replacing the three teams that were relegated from Ligue 1 following the 2010–11 season. A total of 20 teams competed in the league with three clubs suffering relegation to the second division, Ligue 2. All clubs that secured Ligue 1 status for the season were subject to approval by the DNCG before becoming eligible to participate. Evian became the first club from Ligue 2 to achieve promotion to Ligue 1 after its 2–1 victory over Reims on 20 May 2011. Evian made its debut in the first division and, similar to Arles-Avignon the previous season, the club's ascension to the first division is notable due in part to the fact that it has achieved successive promotions in four straight seasons. On the final day of the Ligue 2 season, both Dijon and Ajaccio earned berths in the first division after posting positive results in their respective matches. Dijon was promoted despite losing on the match day and, similar to Évian, made its debut in the top division of French football. Ajaccio returned to Ligue 1 after five seasons in the second division. 1The Stade Vélodrome is currently undergoing renovations in preparation for UEFA Euro 2016. The current capacity is 42,000, a decrease from the original capacity of 60,031. 2The Stade Geoffroy-Guichard is currently undergoing renovations in preparation for UEFA Euro 2016. The current capacity is 26,747, a decrease from the original capacity of 35,616. 1 Subject to change during the season. ^ a b Lyon won the 2011–12 Coupe de France and thus qualified for the group stage of the 2012–13 UEFA Europa League. Since they finished 4th, the spot for the Europa League play-off round goes to the fifth-placed team. ^ Marseille, as winners of the 2011–12 Coupe de la Ligue, qualified for the third qualifying round of 2012–13 UEFA Europa League. The UNFP Young Player of the Year was awarded to Younès Belhanda. The UNFP Goalkeeper of the Year was awarded to Hugo Lloris. The UNFP Manager of the Year was awarded to René Girard of Montpellier. ^ "Paris Saint-Germain v. Sochaux Report". Ligue de Football Professionnel (in French). 22 April 2012. Retrieved 22 April 2012. ^ a b "Dijon v. Rennes Report". Ligue de Football Professionnel (in French). 7 August 2011. Retrieved 7 August 2011. ^ "Lille v. Bordeaux Report". Ligue de Football Professionnel (in French). 12 February 2012. Retrieved 12 February 2012. ^ a b c d e f g h i j "French Ligue 1 Stats — 2011–12". ESPN. Retrieved 9 August 2011. ^ a b "Affluences par club". Ligue de Football Professionnel. Archived from the original on 19 October 2010. Retrieved 9 August 2011. ^ "Palmarès: Les champions de France depuis 1932/1933". Ligue de Football Professionnel (in French). Archived from the original on 19 April 2011. Retrieved 23 April 2011. ^ "2011-2012 : Reprise le 6 août". L'Equipe (in French). 31 March 2011. Archived from the original on 15 May 2011. Retrieved 22 April 2011. ^ "Le calendrier général 2011-2012 validé" (PDF). Ligue de Football Professionnel (in French). 31 March 2011. Archived from the original (PDF) on 2011-08-23. Retrieved 22 April 2011. ^ "Dijon et Caen relégués en Ligue 2". Le Figaro (in French). 20 May 2012. Retrieved 20 May 2012. ^ "Ligue 1 : L'AJ Auxerre relégué 42 ans après!". Football.fr (in French). 14 May 2012. Archived from the original on 2012-05-17. Retrieved 18 May 2012. ^ "Monaco relégué en L2" (in French). Eurosport. 29 May 2011. Archived from the original on 2011-06-01. Retrieved 29 May 2011. ^ "L'Evian TG FC en Ligue 1!" (in French). Ligue de Football Professionnel. 20 May 2011. Archived from the original on 2012-05-26. Retrieved 20 May 2011. ^ "L'Evian TG FC champion, l'AC Ajaccio et le Dijon FCO en Ligue 1" (in French). Ligue de Football Professionnel. 27 May 2011. Archived from the original on 2012-05-30. Retrieved 27 May 2011. ^ "La ville de Marseille et la société Arema signent un contrat pour la reconfiguration du stade Vélodrome" (in French). France BTP. 21 June 2011. Retrieved 26 September 2011. ^ "ASSE – OL: Une tribune visiteurs pleine à craquer !" (in French). Sportune.fr. 11 March 2012. Retrieved 2 April 2012. ^ "Auxerre part company with Fernandez". ESPN. 2 June 2011. Retrieved 2 June 2011. ^ "Communiqué de Presse" (in French). Valenciennes FC. 4 June 2011. Retrieved 4 June 2011. ^ "J. Fernandez à Nancy (off.)" (in French). L'Equipe. 5 June 2011. Archived from the original on 7 June 2011. Retrieved 5 June 2011. ^ "Bazdarevic à Sochaux" (in French). L'Equipe. 10 June 2011. Archived from the original on 13 June 2011. Retrieved 10 June 2011. ^ "Gillot takes over as coach at Bordeaux". Agence France Presse. 6 June 2011. Retrieved 6 June 2011. ^ "Lyon confirm Puel departure". ESPN. 20 June 2011. Retrieved 20 June 2011. ^ "Garde intronisé mercredi" (in French). L'Equipe. 21 June 2011. Archived from the original on 23 June 2011. Retrieved 21 June 2011. ^ "Marsiglia remplace Roy" (in French). L'Equipe. 15 November 2011. Archived from the original on 2011-11-16. Retrieved 15 November 2011. ^ "Communiqué du Club". PSG.fr. 22 December 2011. Retrieved 13 January 2012. ^ "Ancelotti to take over PSG". Football Italia. 22 December 2011. Retrieved 13 January 2012. ^ "Antoine Kombouaré quitte le PSG". PSG.fr. 30 December 2011. Retrieved 13 January 2012. ^ "PSG shows ambition by appointing Carlo Ancelotti as new manager" (in French). Sports Illustrated. 30 December 2011. Retrieved 30 December 2011. ^ "Evian: Bernard Casoni va être limogé" (in French). Chronofoot. 1 January 2012. Archived from the original on 30 May 2012. Retrieved 1 January 2012. ^ a b "Communiqué Officiel". FC Sochaux-Montbéliard (in French). 6 March 2012. Archived from the original on 9 March 2012. Retrieved 6 March 2012. ^ a b "Struggling Auxerre fires coach Laurent Fournier". Sports Illustrated (in French). 18 March 2012. Retrieved 18 March 2012. ^ "Conférence de presse Michel Guyot". Stade Brestois 29 (in French). 26 April 2012. Archived from the original on 2012-04-28. Retrieved 27 April 2012. ^ Colony Capital and Butler Capital Partners still maintain a minority stake in the club. ^ "PSG: 'We want the new Messi'". Ligue 1. Ligue de Football Professionnel. 1 July 2011. Retrieved 5 August 2011. ^ "Ligue 1: 1ere journée: Lyon est leader, Paris déçoit". Chronofoot (in French). 6 August 2011. Archived from the original on 17 March 2012. Retrieved 9 August 2011. ^ "Les scores à la pause" (in French). RMC Sport. 4 December 2011. Retrieved 4 December 2011. ^ "Bordeaux v. Nancy Match Report" (in French). Ligue de Football Professionnel. 4 December 2011. Retrieved 4 December 2011. ^ "Dijon v. Lyon Match Report" (in French). Ligue de Football Professionnel. 10 September 2011. Archived from the original on 10 September 2012. Retrieved 15 September 2011. ^ a b c d "Classement du Fair-Play". Ligue de Football Professionnel (in French). Archived from the original on 19 April 2011. Retrieved 9 August 2011. ^ "Joueurs les plus sanctionnés". Comparateur Paris Sportif (in French). Retrieved 17 August 2011. ^ "Javier Matías Pastore: L'homme pressé..." National Union of Professional Footballers. Archived from the original on 15 January 2012. Retrieved 31 October 2011. ^ "Younes Belhanda : En route pour la gloire..." National Union of Professional Footballers. Archived from the original on 15 January 2012. Retrieved 13 December 2011. ^ "Eden Hazard: Trophee du mois". National Union of Professional Footballers. Archived from the original on 29 April 2014. Retrieved 16 March 2012. ^ a b c d e "UNFP: Trophées UNFP du football: Le palmarès complet..." (in French). National Union of Professional Footballers. 14 May 2012. Archived from the original on 3 March 2014. Retrieved 14 May 2012.